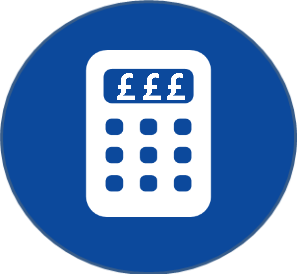 Our previous articles have examined the questionable pricing practices that some of the UK’s larger office product suppliers might use and the resultant challenges that buyers face when trying to identify the best overall deal. Despite their best efforts and logical thought processes, buyers can be lured or misled into choosing suppliers who may not offer the best overall deal, or the greatest overall savings or the optimum value for money that suppliers indicated were achievable. This article aims to explain why a handful of the largest suppliers could have been getting-away-with-it for so long, and why they may continue to get-away-with-it if, collectively, we don’t act. One of the biggest problems buyers face is that they cannot compare the deals being offered by the largest suppliers with those being offered by independent Resellers. This is because totally different pricing models are being used. So buyers, if you want the best, fairest and most transparent deal and if you want to stop suppliers wasting your time on a tender or benchmarking exercise that won’t necessarily ‘tell it like it is’ then read on. Eight years of independent research suggests that there are two types of deal being offered. Deal 1 is based on luring buyers with a basket of goods, the prices for which are set far too cheaply. Buyers are not supposed to look much beyond this basket because for other products Deal 1 relies on clawing-back margins and making hefty profits by being able to impose prices that are far too expensive. This approach is underpinned by the use of vastly inflated recommended retail prices (‘RRPs’), covered up with generous-sounding, but in most cases false and misleading discounts. Deal 1 is designed to look impressive and buyers are not supposed to know how it works. Deal 2 is not about manipulation or extremes of pricing. It’s not about undercharging to win business and then not getting caught overcharging. It’s about genuine and fair prices across the whole range of products a customer buys. Deal 2 is about competitive core prices and the application of honest and meaningful discounts. The intention is to deliver overall savings and best value across the broad spectrum of products that will be purchased. Which type of deal do you think most people would prefer? Did you say Deal 2? If so, we also believe that the vast majority would prefer this option. But if Deal 2 is the fairest, most transparent solution and in the best interests of the customer then why do so many people, even seasoned professionals, actually choose Deal 1? Suppliers are able to manipulate the logical, reasonable and understandable tests of price competitiveness upon which so many businesses, organisations and individuals rely. Suppliers entice buyers with what sounds like a reasonable argument. This is so that Deal 1 isn’t questioned, it’s just accepted as being too good to ignore. Office products are rarely seen as a high priority. Identifying a supplier in this category is often perceived as an easy and straightforward exercise that will produce a quick win. It’s these 4 reasons that we’ll be considering in more detail in our next blog and while they might make for uncomfortable reading we believe that sharing this information will offer great value to buyers. There is a danger that suppliers will continue to lure and mislead buyers selling certain goods far too cheaply, only to recoup profits by charging too much for others. So, let’s take action and work together to prevent suppliers from putting customers in a risky situation and stop them exaggerating a deal that may not be as impressive as it’s designed to look.